AAMG provides funding each year for undergraduate and graduate students to attend the AAMG Annual Conference. Funding details are typically released in early spring and can be found on the AAMG website under “Annual Conference.” Details are also released in the monthly member newsletter and on AAMG social media sites. I am one semester away from graduating with a Master’s Degree in Museum Studies from Western Illinois University. I have a background in Economics and Finance, so I am starting a new career in Cultural Heritage. I’m from the small island state The Bahamas. I attended AAMG this year through the Kress Grant Student Scholarship, this conference allowed me to further my understanding of museum related issues, learn new processes, challenges, gains, quick-wins and above all else to network. 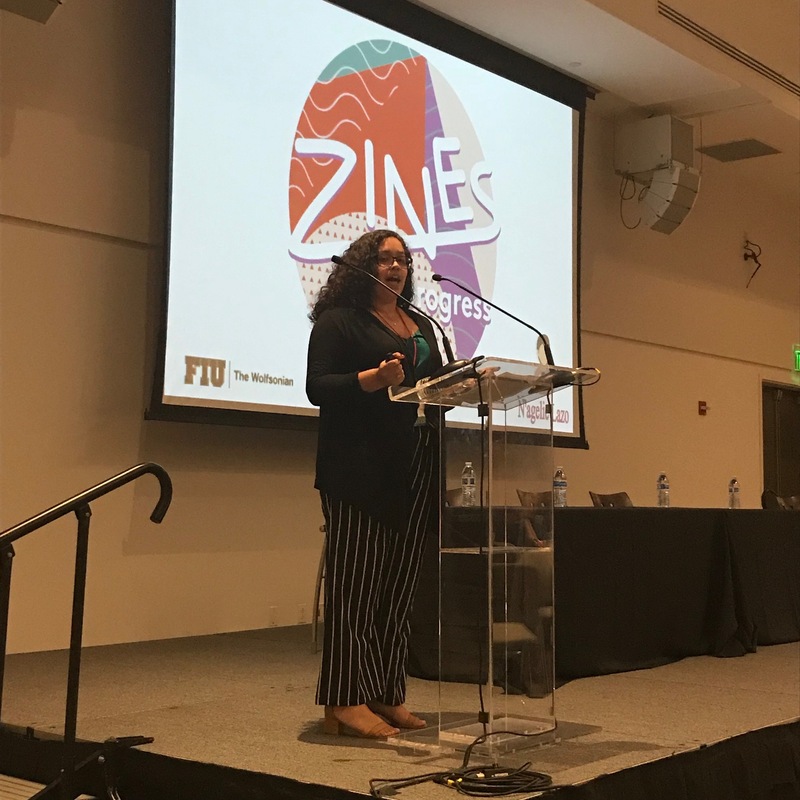 I had the opportunity to represent my program at the conference, it was my very first opportunity to attend such a conference. I am humbled and grateful to have been chosen, I was able to converse with in field professionals on an intimate level I would have had to other opportunity to have done so. I was also able to include my own input during round tables and throwdowns, since I had had very hands on classes dealing with several of the discussions that were very applicable and relevant. I am currently at my internship in Turks and Caicos under the tutelage of Dr. Michael Peter Pateman, the new Director of their National Museum and I am happy to say much of what I learned at the conference I was able to share with staff here and given the green-light to try a new approach to revamping the exhibition in the museum’s main gallery. I learned that as an Emerging Museum Professional I should never ever think any job is above or beyond me. I have also learned that I should not shy away from difficult conversations, this is especially hard for me sometimes being the only person of colour in my program. Invariably when difficult conversations about race happen, the whole room turns to me, always expecting a response. Sometimes I am brutally honest, sometimes I gauge my response because not everyone is ready to hear a whole lot of truth about what museums are, what museums represent and most of all that museums have been neutral too long and while they should be a safe space for all, that safe space should be inclusive (regardless of how uncomfortable it may make some persons feel). I have also learned that failure happens and that it should not be a defining moment but rather a refining moment, a moment that propels me further. I’ve learnt that I should surround myself with a dominant strong team that will help me to reach my goals and that that team does not necessarily have to be just museum people. The most important take-away that I have from AAMG at the University of Miami, is that innovation is important. One of the most important things that I have garnered as a take-away from the conference is the lasting network that I have built as a result of attending AAMG at UM this year. I have and will continue to reach out to persons like Catharine Dann Roeber from Winterthur. I will be graduating from WIU in December and will have a gap semester before I start my PhD. Ironically, I am in the process of applying to the University of Delaware to enter as a part of the 2019 PhD Cohort in Conservation Studies, so meeting Catharine was providential. 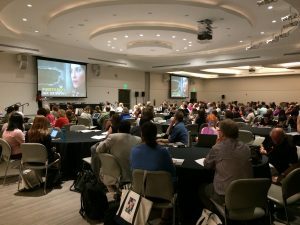 I believe that as an emerging museum professional attending this conference added another layer in my understanding of what the profession is and how to be the best at it. It was also great to meet my new Scottish friends and colleagues Steph Scholten, Matthew Sheard and Jackie MacBeth. I will be headed over to Scotland by way or Ireland for the xmas holidays and will have the opportunity to visit with them while in the UK. I have also formed bonds with several other professionals that I met during sessions at AAMG. I am happy that I was able to hear Paula Gangopadhyay speak on “The Power of Asking….What if?” She gave a very powerful speech that included phenomenal information that has real life connotation about Thomas Edison. I was really happy to have been there to hear that speech, it confirmed that the path I have chosen is the correct one.